Three words best describe this edition of FHM Bar Crawl: Cheap beer buckets! If you think you've already experienced the best that Malingap Street in Quezon City has to offer, well you're wrong. You've got to check out Sagul Beer, Food, And Art Park. Relatively new on the scene (they just started earlier this year), the hub for alcohol, chow, and live music is quickly gaining popularity with the locals. 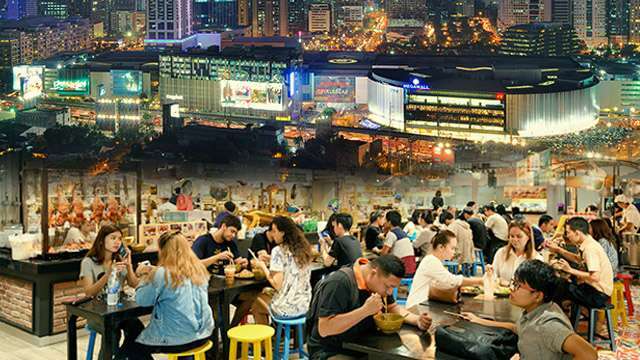 From the outside, it's easy to mistake it for your run-of-the-mill food park—it has all the food stalls you'll ever need (obviously), tables and chairs to host guests, the works. But, once you experience it for yourself, you'll realize that Sagul is a hangout like no other. 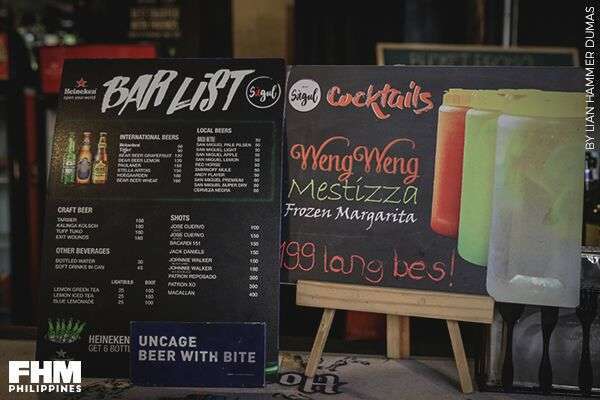 Aside from the delicious dishes offered here, they also have an awesome bar, which features a wide range of quality, thirst-quenching drinks. 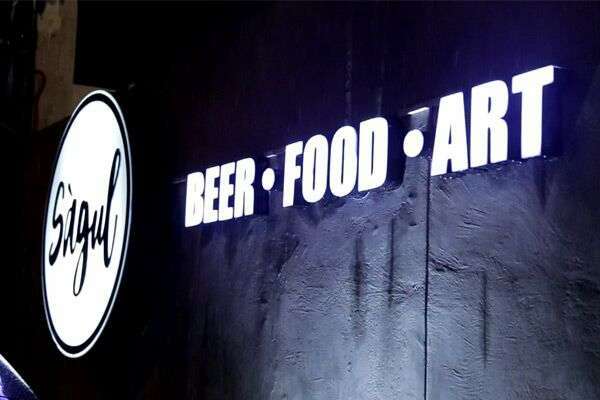 They've got the newest craft beers and even foreign rare-to-find drinks, all of which are capable of washing down whatever you're eating or getting you sloshed (it really depends on what your goal for the evening is). “The main-selling point of Sagul Bar is our line-up of beers. We have so many choices both local and foreign. 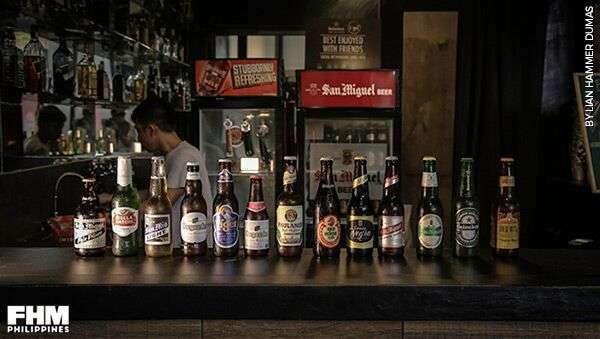 Almost all Pinoy-made beers are available here,” says Oliver Torre, owner of Sagul Bar. “Also, our bar has the most affordable beer bucket in and around the area. 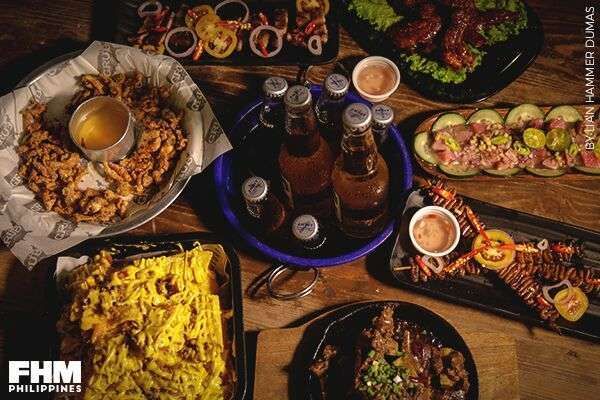 Get 7 bottles—you can mix whatever brands—for only P299! Of course, they also have hard liquor, which they sell per shot or bottle. Other must-tries are their creative cocktail mixes: trust, their Weng-Weng, Mestizza, and Cherry Pop will hit that sweet spot. “We change the cocktail menu almost every week. So meron kang aabangan kada punta mo rito.” Torre adds. 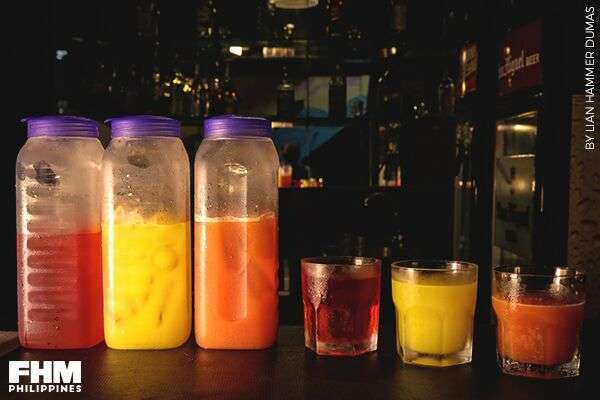 For pulutan, Torre suggests that you pair their drinks with any (or all!) 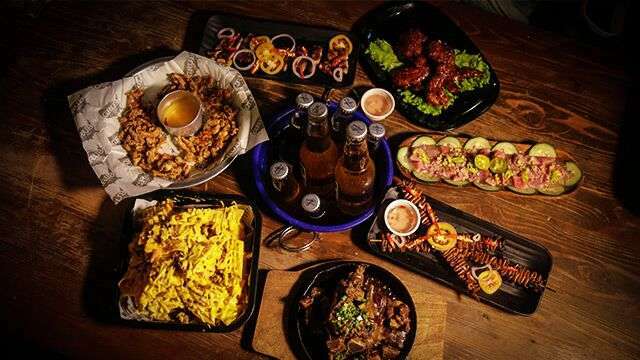 of these mouth-watering choices: Asan Si Diwa at Ila’s Kilawin (P150), Wing Turf’s Nacho Overload (P190), Walastik’s Inihaw (P130 for Liempo, P100 for Isaw), Grub Central’s Chicken Skin (P90), Kanto Ribs’ Spicy Adobong Baka (P289), and Taberu Saiku’s Tebba Chili Wings (P140). The best part? Drink the night away while lounging on their cozy bean bags, listening to your favorite indie bands jam for free! FYI: Sagul also acts as a venue for album launchings and gigs. So, who knows, you might just bump into your favorite vocalist while you’re here!